The original iPhone killer manufacturing company, Meizu, did not quite manage to live up to its nickname given by industry watchers, which explains the iPhone’s lofty position in the world of smartphones at the moment. Still, if at first you don’t succeed, try again – and it is nice to see Meizu not throwing in the towel, but perhaps this time around they are not too interesting in taking on that cursed mantle that no one has really come close to accomplishing – preferring instead to chart their own route where a smartphone is concerned. The Meizu MX will first hit its home country, China, from January 1st onwards, making it the perfect way to kick off a new year if you happen to be on the lookout for a new handset. Well, this highly anticipated smartphone has already picked up a warm reception, with the local market showing a really huge interest in its home market, not to mention news portals showing interest on the international front. It seems that with the pre-order process beginning from December 1st, 2012, Meizu has already picked up an overwhelming amount of pre-orders. The Meizu MX does seem rather familiar to some, considering how it is reminiscent of the Meizu M9 that was rolled out a year earlier. In fact, last year, long lines were formed in Beijing, Shanghai, Guangzhou, Shenzhen and Zhuhai, so do expect the same kind of frenzied scenario to happen with the Meizu MX as well. Ever since the Meizu MX engineering samples were released to the media on December 8th, Meizu has collected user feedback from across the world, and that will be implemented in the final model, making sure that a whole slew of improvements and bug fixes were introduced, affecting both hardware and software. Among the more prominent hardware improvements will comprise of a anti-fingerprint coating to the camera lens, not to mention a whole lot easier to use hardware buttons, improving the aesthetics of the internal circuitry, not to mention improvements in overall build quality. Other hardware configurations include a 326PPI high resolution display, a 1GHz Cortex A8 processor, all working in tandem with the Flyme OS that is based on the Android operating system. 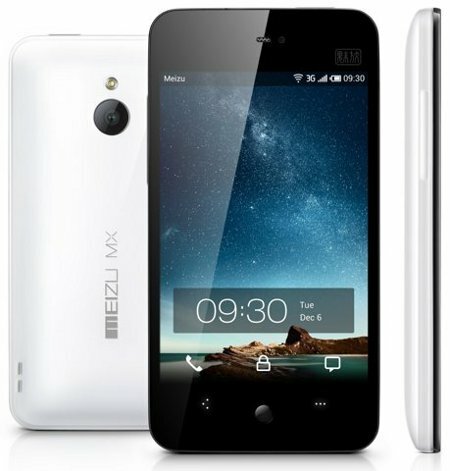 Meizu has promised to deliver a Flyme OS version that is based on the Android 4.0 Ice Cream Sandwich OS later this year, too.